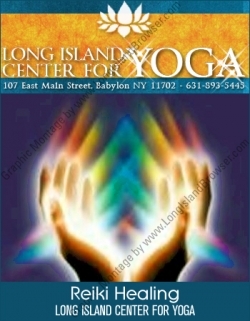 Long Island workshops of various types such as arts crafts, games, woodworking, culinary cooking baking to learn new recipes; spiritual workshops to learn meditation methods, health, wellness, fitness, seasonal (winter, spring, summer, fall) workshops on Long Island, New York. 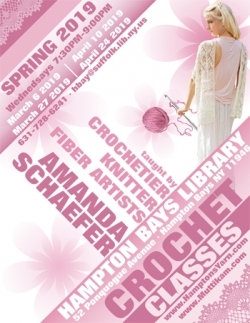 Crochet with Amanda 2019 Spring Crocheting Arts Crafts Workshop Classes at the Hampton Bays Library in Hampton Bays, Suffolk County, Long Island, New York. 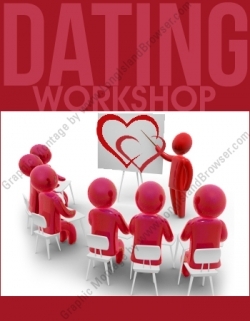 7 In Heaven Long Island Singles Dating Choose The Right One Workshop Mingle at Frank's Steaks in Jericho, Nassau County, Long Island, New York. 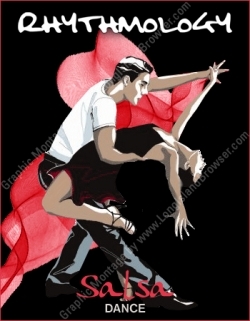 Tags: Long Island workshops, Long Island workshop events, seasonal workshops (winter, spring, summer, fall), arts crafts, games, woodworking, culinary cooking baking to learn new recipes; spiritual workshops to learn meditation methods, health, wellness, fitness.